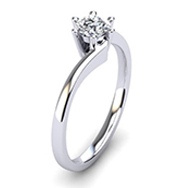 When buying a diamond engagement ring you are not only making an investment monetarily, but also in your love and relationship. 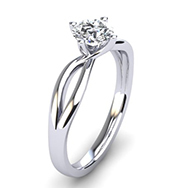 Marital engagement is a commitment that will last a life-time, much like the longevity and strength of a diamond. Diamonds are the hardest minerals found on earth. There is no other naturally occurring substance that is harder than a diamond. 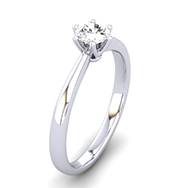 This is why the diamond ring is widely regarded as the perfect symbol of the union of marriage and enduring love. 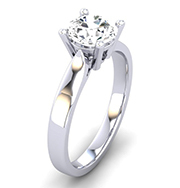 When looking to buy an engagement ring, the aim is to find the most beautiful engagement ring design that compliments the unique attributes of your loved-one. 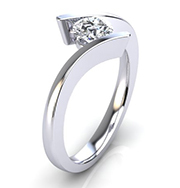 Each ring design has a different way of showcasing the diamond and precious metal it is made from. In a similar way, each engagement ring compliments each person differently. 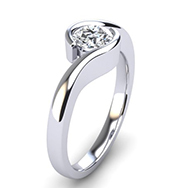 The number of diamonds, the diamond cut and the size of the diamonds, as well as the metal type and colour, all effect the design of the ring. 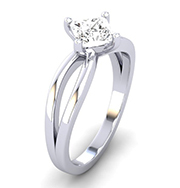 Solitaire rings or rings that showcase a single diamond, are a classic and elegant choice worth considering when buying an engagement ring. 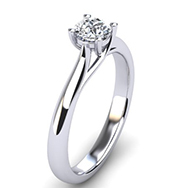 If you are unsure which engagement ring design will suit your partner then a solitaire diamond ring is a sure-fire choice, guaranteed to always be in fashion and to suit all styles and fingers. 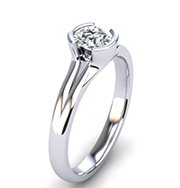 The shape of a diamond refers to the top-outer shape of the stone. 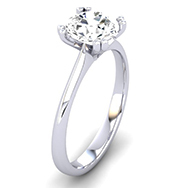 The most popular one is the round or brilliant shape diamond. The reason being that it provides the ultimate brilliance. It is by far the most researched cut in the diamond industry. As such, the careful study of light and mathematics has resulted in a diamond-shape that is cut at just the right angles, that it reflects the maximum amount of light also known as fire or sparkle. 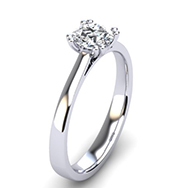 Providing more brilliance than any other shape of diamond. 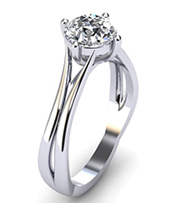 Of all the fancy shape diamonds, the princess cut diamond, provides the most radiance. 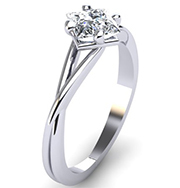 Due to their flat facets square cut diamonds usually show flaws or inclusions more easily, however due to the positioning of the facets in a princess cut diamond, the refraction of light is the most forgiving of all the fancy cuts. 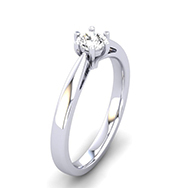 At diamondrings.co.za we aim to produce the best engagement rings in South Africa. 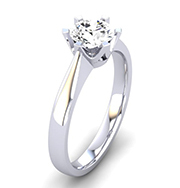 Providing trustworthy, reliable advice and service in a safe online space where you can buy premium quality engagement rings with ease. 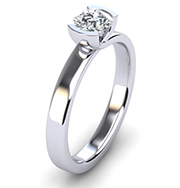 We are a ‘Proudly South African’ company since 1996 and a reliable choice when purchasing engagement rings online in South Africa and abroad.